In this tutorial, we implement the Google AdMob Banner Ads in our Android application. To place the Google AdMob in Android application, we need to create the Google Ad Unit Id. 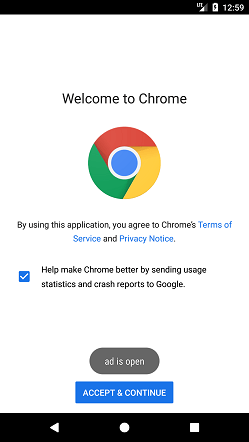 The complete reference for creating the Google AdMod account and generate the Ad Unit Id is described at Android Google AdMob. 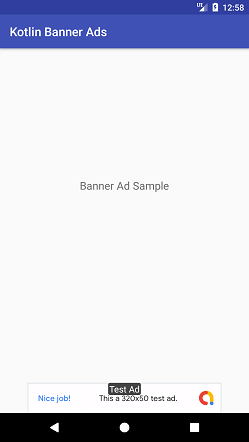 Banner ads are rectangular text or image ads that occupy a small spot in activity layout. 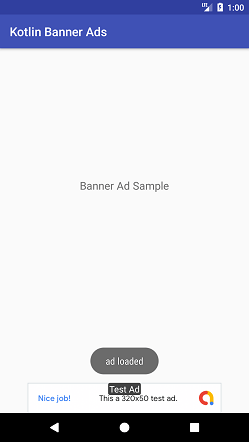 To implement the Google AdMob in the Android application, select Google AdMob Ads Activity and select the Ad format type as Banner. This activity adds the default required library dependency, View for Ads display, Internet permission, and other required code. Add the Google Ads View on that layout in which we want to display our ads. Here, we have added in our activity_main.xml file. To display the banner ad, we need to add the com.google.android.gms.ads.AdView element to our XML layout. The banner ads align to the bottom of the screen. Add the following code in MainActivity.kt class. To load the ad on the UI, create the instance of AdRequest and load the ad in AdView by calling AdView.loadAd(AdRequest). Override the AdView listeners onAdFailedToLoad(), onAdLoaded(), onAdOpened(), onAdClicked(), onAdClosed(), etc.